I am SOOOO busy this morning! I'm throwing a baby shower in about an hour. Both of my kids and I are STILL in pajamas and I'm blogging. Oy! That's how dedicated I am to this blog. Or obsessive, whichever way you wanna look at it. 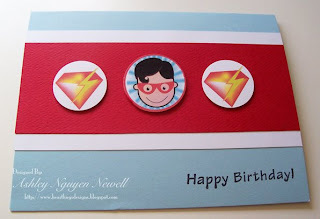 Today, I have a couple of super fast cards that I made with the Super Hero Set from AiFactory. I just printed out the images and sentiments at a size that I thought would work for me. Then I put them out and made cards with them. Super duper easy. This first card uses paper from DCWV. I just matted the main image and added the sentiment. This set is PERFECT for all of Brady's little friends! 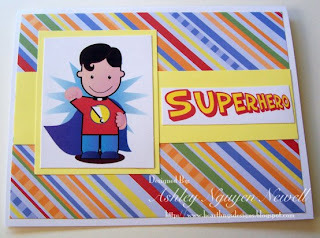 I can make adorable Super Hero cards for their birthdays! My next card just utilizes some circle punches. The awesome super hero was punched with a 1 1/4 inch punch and the two awesome diamond lightening bolts were punched with a 1 inch circle punch. The sentiment is a clear stamp that came from a $1 set from Joann craft store. Alright, I should go shower and get ready. Wish me luck! Happy Monday! SUPER cute! 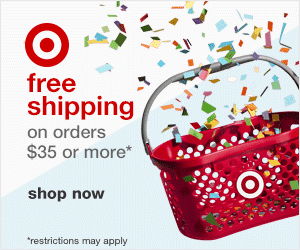 :-) What fun cards! Any boy (big or small) would surely love these! OMGosh Ashley! The cards are adorable. Have a great shower. What a cute card... my "big guys "would love this. Thanks for visiting my blog and your kind comments. Have fun at your event.